This build started at the beginning of 2017, and just went through a refresh mainly to replace the AIO with a complete custom loop, as well as to give a shot at StoreMI for gaming. Big surprise, as I was going through the motions to do this, I thought "Why not take the opportunity to upgrade the rest?" The end result was basically a whole new desktop, except for my GTX 1080 Ti, some basic parts, and other general accessories. StoreMI slows down the initial boot a bit (16s increased to 20s), but everything after reaching the desktop feels even snappier than before. This time could likely be driven down by better startup optimization on my part: I let every service I have run at boot, because this 20 seconds frankly does not bother me whatsoever. Ryzen 2 XFR is unbelievable. The system will "underclock" as low as 1.9GHz when idle, but then reach as high as 4.34GHz under load. I will attempt a higher OC in the near future, but for now this pleases me greatly. Monitoring will show a max temp of ~72C, but I never see the system run above 60C for an extended period, whether gaming or stress-testing. The CPU will "jump" from a low-read to a high-read, but then immediately count all the way down to a reasonable number (i.e. 55>75>74>73...>60, over a few seconds), so determining an actual "max temp" has not been easy. I believe this is because Ryzen is still inexplicably reporting weird temperatures (which has plagued AMD since Ryzen's release), because the GPU does not do this, and constantly reads between 40C and 65C, despite being behind the CPU in loop order. Since the fluid will eventually reach equilibrium, and as such the actual loop order isn't critical, I installed my hardware without any real consideration for order - only aethetics. The goal was to have as little tubing routed as possible, but also to make sure everything would physically fit inside the case, which turned out to be pretty difficult. There were a couple configurations that would have barely worked with respect to space, but I liked the look of this one best: the order here is RES > PUMP > 360RAD (air intake) > CPU > 240RAD (air exhaust) > 120RAD (air exhaust) > GPU. Most of the issues I have with this build so far stem directly from the ROG Strix X470-F motherboard; as of this point in time, I can unequivocally say that I hate the motherboard. It has confirmed all of my fears about "GAMING" motherboards: they're overpriced and offer little over cheaper equivalents, especially when compared to other X470 models. You're paying for extra RGB headers, which in the case of this board will disable online play, and that's it! 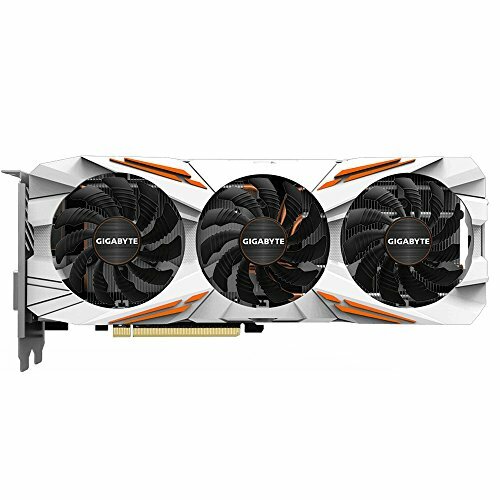 The RAM support does not match what was advertised even remotely, and the ROG audio manager is trash - it does not allow me to use both my desktop speakers and headset at once. I have a few minor changes to make in the near future, but they aren't anything too incredible. I plan on performing a whole system flush and add an in-line filter at that time, as well as optimizing the fan profiles to prevent them from spooling up to max speed so frequently. The fan profiles on the STRIX X470 board aren't great, because the CPU fan header cannot be changed to run off of fluid temps, which is causing much of the aforementioned fan speed problem. Nine of the 12 fans will run at minimum, or even turn off entirely at idle, but the other three are constantly whirring up and down, due to a combination of those being dedicated to the CPU header, which I cannot force to monitor fluid temps, and that Ryzen constantly reports fluctuating temps. Not in the parts list is a Corsair Lighting Node PRO that I got to control the RGB on my SP120 fans, and honestly I think it works great. It came with a handful of LED strips that I can't use, so I may add another in the future to control the strips I have, but that's at the very bottom of my list. Performance so far is incredible: one 3-hour gaming session saw a 5.3GHz all-core boost at 1.54v (temps rarely exceed 65*C). StoreMI was a headache, but is super enjoyable now that it works. Didn't need the box cooler for my build. Not electrically conductive, and works very well. 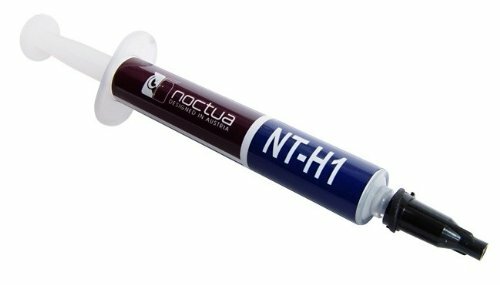 I used this under both my waterblocks, and it did help my GPU temps when on air as well. Generally, I think the "gaming" branded products are honestly gaudy and overpriced, but even the black-on-black theme of this board looks nicer in person than online. 4x8GB RAM isn't stable above 3133 MHz so far, but that's not too surprising and still could improve somewhat. Asus' Aura software interferes with Anti-Cheat services, which is both highly ironic and extremely annoying. I receive errors that say something to the effect of "Game Security Violation detected [lightingservice.exe]" and cannot play online without first un-installing the software. 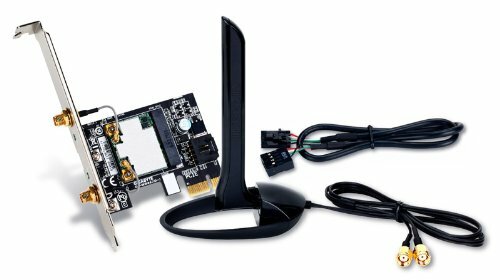 Asus' audio manager cannot properly detect input jacks. The system shows "connector retasking" and constantly switches the audio output back and forth between my speakers (front-panel) and headset (back-panel), ultimately yielding NO sound. I either must turn off automatic jack detection and set these manually, or only have one unit plugged in at a time, and either way that's a ridiculous amount of troubleshooting for motherboard that retails around $180. I would only recommend this motherboard if, for whatever reason, it is literally the cheapest available option to you. Coming from a Prime X370-Pro, I regret not going with the newer X470-Pro instead of this catastrophe. I would have preferred to get 2x16GB, but at the time this configuration was cheaper and I wont need to upgrade for a long time with memory like this anyway! Although the memory passed 4 times without error in memtest 7.5 using the 3466 c16 XMP profile, I could not get a stable boot above 3133. While that is at least partially because I'm running 4 sticks, I honestly believe the bigger problem is this poor-quality Strix X470-F motherboard. 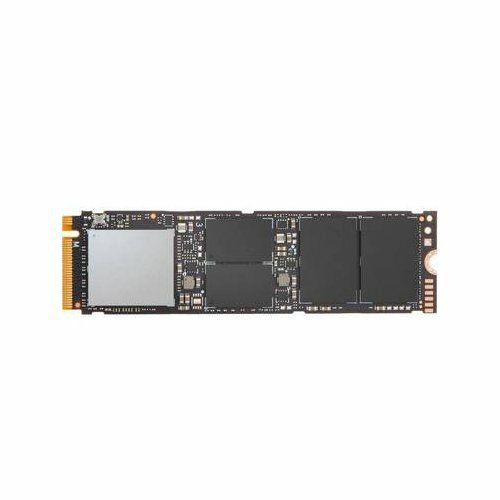 It seems unlikely that I can actually tell a difference between this and a standard SSD, but this NVMe drive feels incredibly fast by comparison. I purchased this for StoreMI: 1) to expand my storage a bit, and 2) to see if there's any measurable speed upgrade. I started this build with something cheap just to put my OS on, and I wanted extra volume for bulk storage in the future. 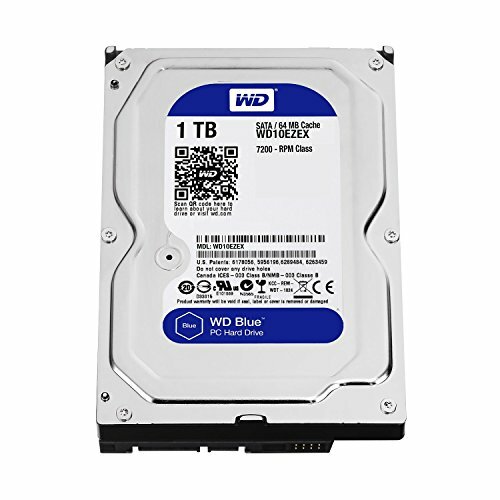 This drive is surprisingly fast despite being a mechanical one, and has proven to be very tough and reliable. This is the best PC case I've ever had the pleasure of building in. Even when cramming three radiators inside, there's still generally plenty of room to work, but with that much hardware stuff pretty much only fits one-way. On that subject: the plates in the top and front make moving and reinstalling my rads much easier, by allowing me to build them outside the case. The four-sided tempered glass design is beautiful in person, surprisingly easy to keep clean, but ostensibly very heavy - with all my hardware inside, this build easily pushes 40 lbs. Full modularity allowed me to only use the cables necessary, which helped with building and interior space. The 80+ gold rating cuts down on heat, and yields a high percentage of the wattage rating. 750W is plenty for my build, though it might be a stretch if I ever decide to run a CFX/SLI configuration. I am actually still using my Windows 7 key that I purchased back in 2011 for my very first PC build, which has become Windows 10 through the "Anytime Upgrade." It's an OS, and does just that. Wi-Fi and BT4.2 both in one unit is nice, the exterior antenna can be placed up on my desk for better signal, and my internet connection is consistently full-speed (100 MBPS download, 10 MBPS upload) . The device seems to take a while to connect on startup compared to the rest of my services, but it's usually working within 30 seconds. These are some of the cheaper RGB fans out there, especially considering their relatively high CFM and Static Pressure rating. The downside is they are DC, but my motherboard can still control them somewhat: at idle they run at their minimum speed (~600 RPM) and aren't too loud, but they sound like a jet engine at full roar. Bought this basic monitor for my first build, and have no plans to replace it, as it still works very well. The colors are bright, and the response/refresh times are pretty good due to LED back-lighting too. It was re-tasked as a secondary screen when I finally upgraded to something more modern. 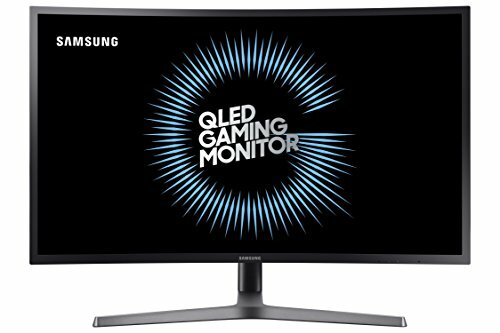 There is nothing bad I can say about this monitor. The resolution, refresh rate, and response times are among the best available: even my fiancee thought the picture looks beautiful, and she doesn't play games. HDR is amazing in BF1, but that's the only game I have that uses the feature. There are tons of settings and presets, as well as the possibility for custom picture profiles. I've cycled through most of them at this point, and use one of the canned profiles so far. The box also included a bunch of cables and all of the hardware necessary for a wall-mount (except the mount itself). I used the wired version of this mouse for a while, but liquidated for this wireless one. The thumb-pad buttons are easy to find in a firefight, and incredibly useful whether playing an FPS or MMO. 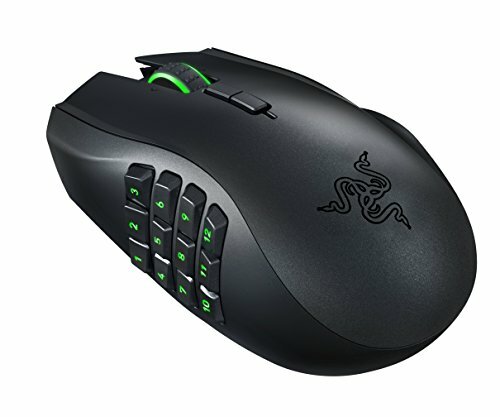 Sometimes the sleep setting is a little aggressive, but I've never had the mouse turn off during a game or anything crazy. Battery life is decent: lasts about 12 - 14 hours on a full charge. I tried the Game Zero model for a time, but returned it to get these, which was the right decision. 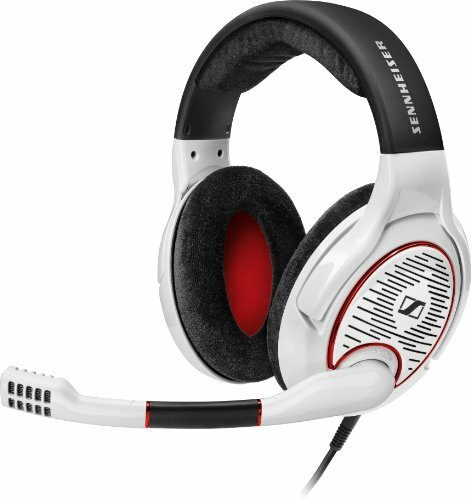 I thought the closed headset would be better for me, but the sound on the Game Zeros sounded muffled and tinny. These, however, sound as good as most desktop speakers, other than the bass can be a little lean at default settings. They get much louder than they need to: I rarely go beyond half volume. Additionally, the velvet-like material on the over-ear part of the cans is much more enjoyable than the hot leather of the Game Zeros. If choosing between the two, unless a closed setup is a must, the Game One headset is the best, hands down! 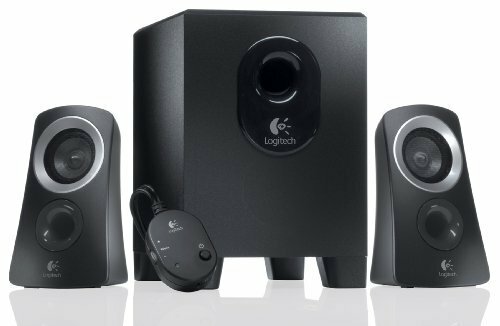 These are the only desktop speakers I've ever purchased, and they're certainly a great value: they get unbelievably loud and the bass is rich. The sub-woofer thumps hard enough on the desk to cause my mouse to migrate. It would be nice if the sub-woofer had independent bass control, but that's nothing software can't overcome, and I don't think these speakers truly need it anyway - I just like to feel the beat and/or bombs! I feel like I've had these speakers forever. They're still going strong, and I enjoy cranking them up while I clean house. Soft tubing is a little harder to pull off aesthetics-wise, you did a great job. Thanks! I really wanted versatility since this is my first custom loop. I knew that it would feel like a missed opportunity if I didn't fill in all 3 radiator spots! This case seems like it was intended for it: there are plates in the front and top, so the 240- and 360- rads can be pulled out as a whole unit with the fans. It actually helped with the tubing runs a little, since it made most of them so short. The downside is draining the loop is damn near impossible, even with the addition of the drain port, because there's so much space to create a vacuum. Try reinstalling your bios of the Graphics card. The driver may need to be put back to the earliest version and then updated , just a simple fix that might just work. P.S nice positioning of the XSPC Ion pump/res, a beautiful build. Fortunately, I fixed the error without doing this, but thanks for the suggestion! GPU BIOS wouldn't have ever been on my radar. Looking good! I would like to say though, you have more cost in your fans then I spent on my whole pc. Crazy. This is one gorgeous computer! It is crazy, because of the prices you were able to get for these parts! Awesome job! Was curious if you were able to get to the bottom of the Gaming issue? You are correct that it is most likely the ram... Since you are running 4 sticks, pull 3 of them out. If it still persists, try switching them around. If it plays the game fine, then you definetly have a bad stick somewhere. Would recommend just using 1 stick at a time and if they all work one at a time, then it is most likey one of the dimms on the mobo. Best of luck to you and great looking build! Yes, it seems the XMP 3466 profile was not really stable (prob. due to 4 sticks like you said). They tested fine at 3466 over a few passes in memtest though... currently they're at 3266 and I'll tweak from here. It would be nice to see some solid evidence of the 2700x at 4.9 GHz. I haven't seen a single person get 4.5 GHz or more yet with a reasonable cooling setup (like ln2 is not reasonable, custom loop is reasonable). If you really are getting those numbers though, nice! I just added a HWMonitor snip I have to the back of the images file. It was a ~3 hour gaming session where it went up to 5.3GHz across all cores, and I plan to do more actual testing now that I have the memory and StoreMI stable.